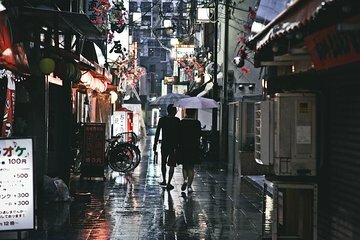 This fun evening tour will take you to the markets and nightlife districts of the underrated city of Osaka. See how locals live, work, and eat in an area well-known in Japan for its culinary variety. You’ll see a part of the city that tourists normally miss out on with the help of a local English-speaking guide. As this is a private tour, you can go at your own pace and linger at places that interest you the most. Additional food and drinks, meal at the end of the tour, souvenirs and personal items, tips/gratuities for your guide. Children under age 12 are not permitted to join this tour. Please wear comfortable shoes for walking.